KuCoin announced on Saturday it was starting delisting procedures for PURA because the decentralized coin “failed to provide legal opinion” to KuCoin. PURA was among the first coins to be listed on KuCoin when the exchange started operations in the fourth quarter of 2017. It was a very successful partnership and considered to be “long term” – in terms of crypto space. In 2018, KuCoin cryptocurrency exchange moved their operations and licensing to Singapore. The PURA team was somewhat disappointed and curious when KuCoin contacted the team two months ago, claiming the necessity for a “post-listing KYC-process”. KuCoin argued that this measure is necessary to meet regulations in Singapore. These are the current requirement for a coin to maintain its listing on KuCoin, and procedures have to be renewed on a yearly basis. After this surprising request, the PURA core team contacted KuCoin to inquire how a decentralized coin was to provide such documentation and to find out whether cryptocurrencies such as BTC and ETH had to meet the same requirements in order to keep their listing on KuCoin. 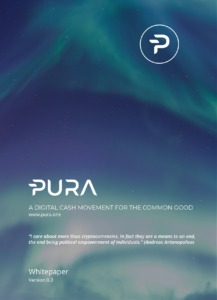 Bottom line of the discussion was that PURA did not provide the documents requested and complete the KYC process as decentralized coins are just that – decentralized. Cryptocurrencies do not (usually) have a legal entity or a CEO as this would render the idea of decentralization absurd. We are very sorry to hear that KuCoin exchange has decided to delist PURA on account of this legal issues and we will have to accept this decision. In the meantime, the PURA Team already holds the listing approval of another exchange, which is scheduled for execution within the next months. i cannot find the official Kucoin source of this information. Can you please help me out?